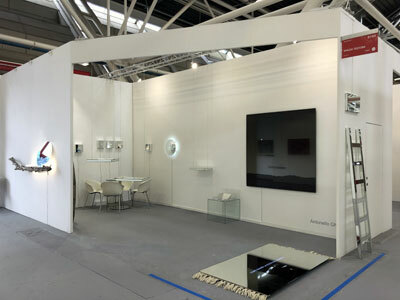 Antonello Ghezzi: excellent feedback to the staff at Arte Fiera 2019. 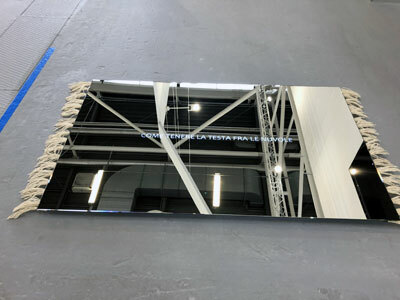 Excellent response and participations at the solo exhibition of the duo Antonello Ghezzi at Arte Fiera 2019. The 43rd edition of Arte Fiera, the first led by the new art director Simone Menegoi, had a definite appreciation, with figures speaking for themselves: during the 5 days of the event (from February1st to 4th, plus the preview on January 31st), the audience has exceeded 50.000 visitors, with over 350 national and international collectors reported by the 141 exhibiting galleries. The unprecedented criterion of participation chosen by the art direction, who had invited the galleries to present a limited number of artists, or even monographic stands, was a successful one. This option was chosen by approximately a third of the exhibitors. It was very appreciated also the staff of the Bolognese duo Antonello Ghezzi ‘How to hold the head in the clouds‘, presented by Spazio Testoni Gallery of which Vetreria Bazzanese was a technical partner, particularly in the realization of the work ‘Autoritratto‘: a glass sheet of dimensions 150×150 cm. on which was digitally reproduced a photographic image of Planet Earth taken by the Curiosity space probe directly from the surface of Mars. 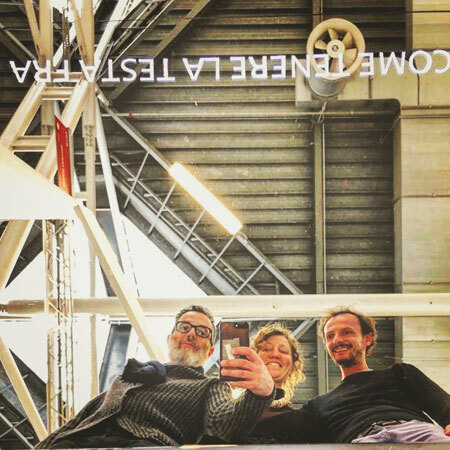 Vetreria Bazzanese also supported the event supplying the mirror installed above the exhibition welcome carpet which was helpful for the many selfies taken by the visitors, frequently also together with artists. Beyond the numerous visits and appreciations, the relational aesthetics and the dream like mirrors of the Bolognese artistic duo deserved mentions on the newspapers Il Resto del Carlino, Il Foglio and InsideArt, as well as a truly exceptional presence at the stand: Gianni Morandi, andall the sympathy and kind willingness he always brings with him. See you next time then! Vetreria Bazzanese and the duo Antonello Ghezzi will not fail to collaborate in the realization of future projects and initiatives, which we will take care to share with you promptly. Club Unseen of Studiopepe won the Frame Awards 2019!